(Corpus Christi, TX November 30, 2016) – Recently in the position as Assistant General Manager / Director of Marketing & Corporate Sales, Eric Jaramillo has now been named General Manager of SMG managed American Bank Center. 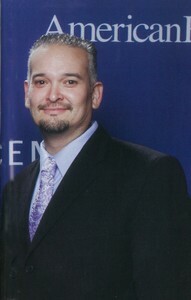 Eric initially joined SMG at the American Bank Center in February of 2009 as the Director of Marketing & Corporate Sales. Eric has accomplished over 13 years of venue and live entertainment experience starting in 2003 at the AT&T Center with Spurs Sports & Entertainment. While earning a marketing degree at University of Texas at San Antonio in 2003, Eric started his industry experience with the game operations department for the NBA San Antonio Spurs, WNBA Silver Stars and AHL Rampage. From there Eric gained venue experience as an Event Marketing Coordinator for Community Arena Management, AT&T Center’s venue management group. August of 2015, Eric was promoted to Assistant General Manager / Director of Marketing & Corporate Sales in August of 2015. Still overseeing the marketing department, in his new role, he assisted the General Manager within all departments. These included operations by overseeing department heads throughout the facility, establishing and maintaining relationships with booking agents and promoters, and developing other resources within the industry to encourage regular use of the facility. At that time, Eric worked closely with the General Manager in the preparation and negotiation of service agreements, reviewing contracts for compliance terms and department budgets. Eric transitions into the GM role during SMG’s thirteenth year operating the American Bank Center. SMG managed American Bank Center is Corpus Christi’s premier event center. Follow us online at www.Americanbankcenter.com, facebook.com/AmericanBankCenter, twitter.com/@AmericanBankCtr, on Instagram @americanbankcenter, Tumblr @AmericanBankCenter, and on Periscope @AmericanBankCenter, and now on Periscope @Americanbankcenter and on Snapchat @Americanbnkctr.